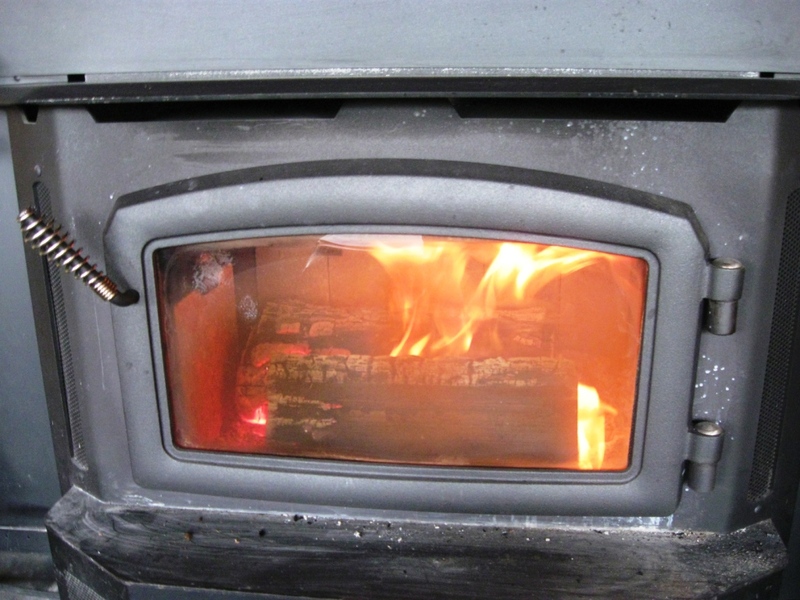 Fewer people than ever heat their houses with wood through modern winters, which makes wood heat more viable each year. 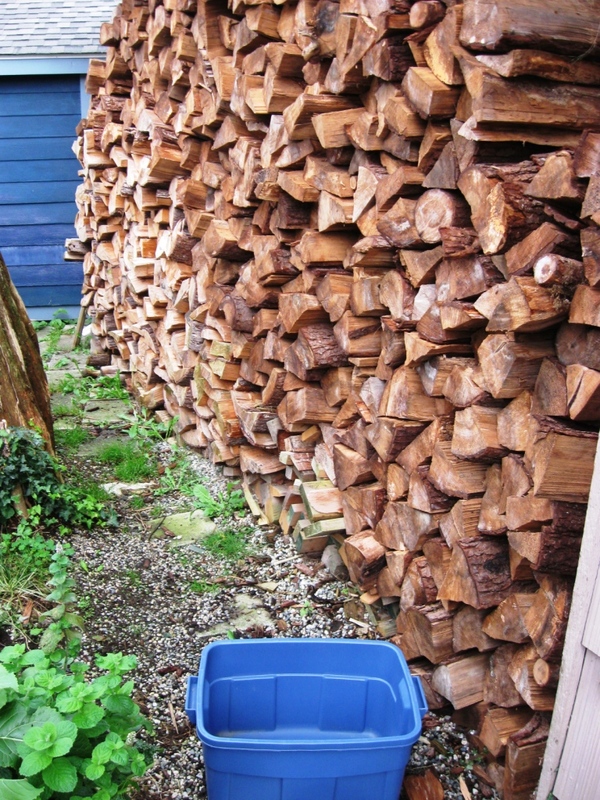 You can now find large quantities of wood for cheap or free, and you couldn’t ask for a cozier heat. Like any heating method, it has its drawbacks. In addition to the extra work needed to obtain large chunks of wood, then chop it down into smaller pieces, it’s heavy and takes up an immense amount of space. You’re looking at about 1/3 of our total woodpile. It’s about 4 cords, 1 cord more than we need to heat through the winter. This week we just started burning, which means we just started hauling it in piece by piece. At first I tried a couple 5 gallon buckets to make the hauling less splintery, but they only fit 2 or 3 of these massive hunks of wood. The 12 gallon Rubbermaid works perfectly not just because it’s bigger, but because it’s the exact same length as a piece of firewood! Each firewood is chopped to a specific length so it fits into the fireplace. As it happens it’s same length as a rectangular Roughneck Rubbermaid. The improvement is obvious. More wood carried, no splinters – and cushy carrying handles! We’re also fortunate that Rubbermaids are very durable, although we would expect these handles to start tearing after a few years. It takes me 2 loads to fill up the firewood storage area pictured here. With the larger 18 gallon Rubbermaid I may be able to do it in 1. And there’s no rule that you have to carry these in by hand. If you’ve got to carry firewood over long distances, you can fill up three Rubbermaid bins, lid them up, and roll them in with a hand truck. This is the exact Rubbermaid we’re using. 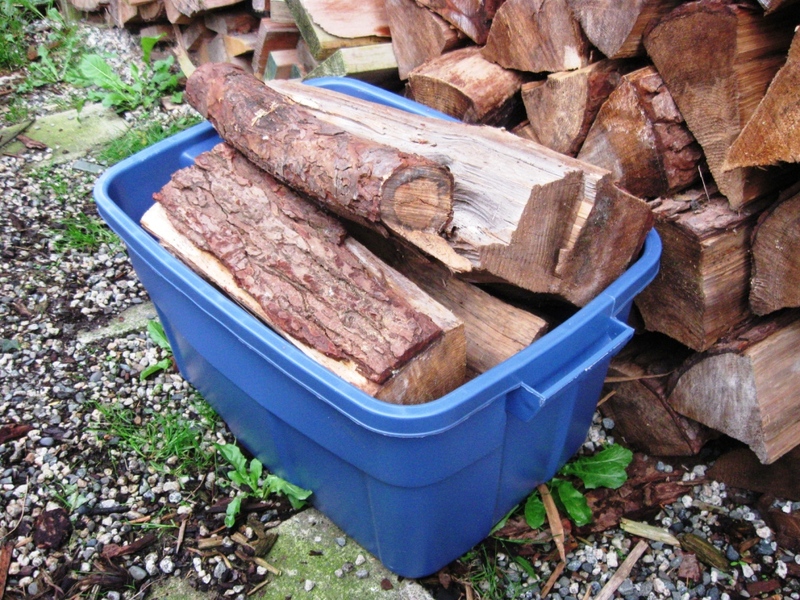 Make sure if you get your own firewood carrying Rubbermaid that it’s the much more durable Roughneck and not one of the flimsier or clear plastic ones. 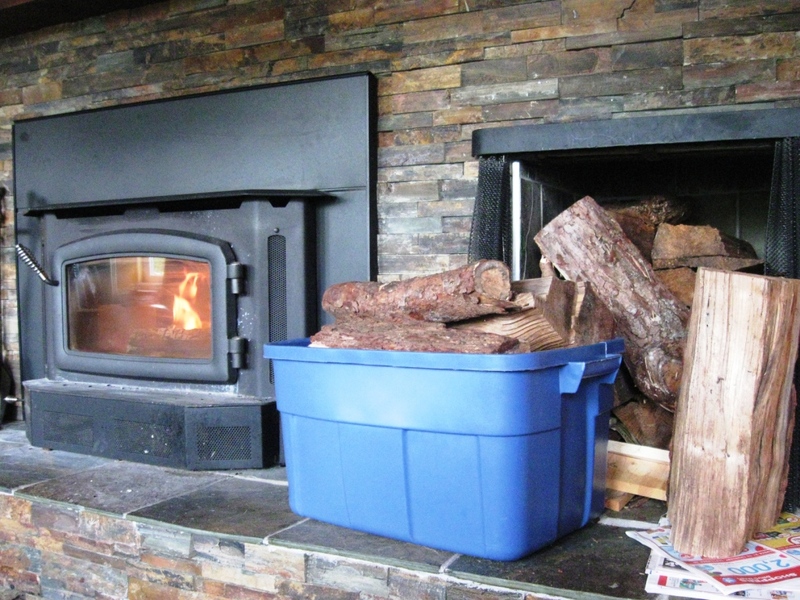 See also see our article on making your own wood-burning rocket stove out of a 5 gallon bucket.